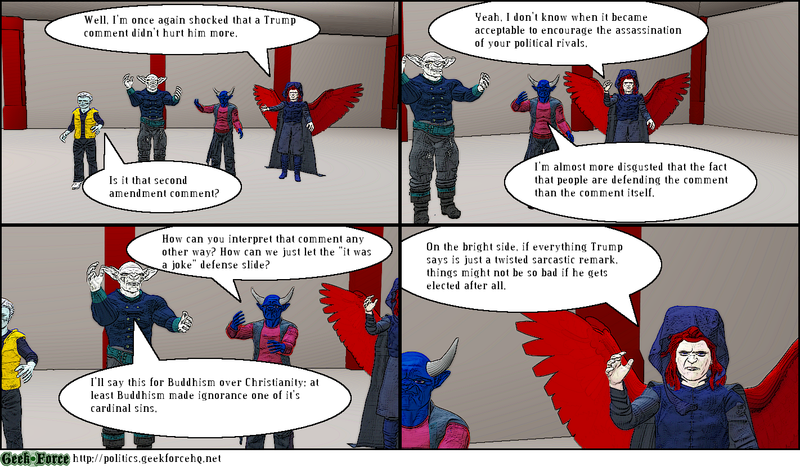 This is another anti Trump comic. I just find his comment disgusting. As mentioned in the comic, I find the defense of his comment disgusting.